A Customer in the east Melbourne suburb of Kew contacted us this week due to flooding that had occurred outside their home. The flooding took place at the rear around the pool area. They have an inground pool with extensive tile paving and landscaping. The paved area drained to a central small grate within the large paved area. It became obvious to us after trying to clear the stormwater drain from this small grate that there was a large amount of dirt and silt build up. 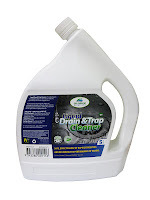 It would suggest that a lot of tile grout and silt had been washed down the drain during construction as the renovations to the home had only been completed recently. 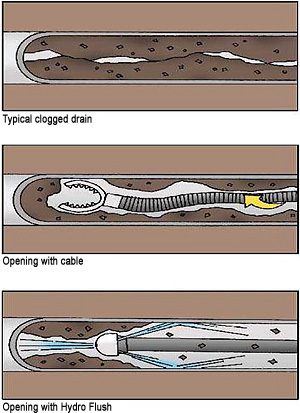 We attended the job with all types of drain cleaning equipment as we didn’t know what we were in for! I explained to our customer the problems due to the silt and sand build up and the advantages of using our latest technology drain cleaning water jet! 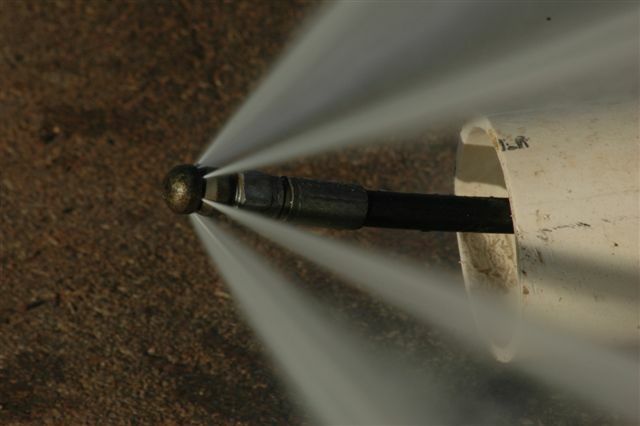 The powerful water jet has an array of different water jet nozzles for clearing drains and different applications. We also advised our customer how the old style cable type drain cleaning equipment would only stir up the sand and silt in the drain and it would soon settle back to the base of the drain. The water jet could actually pull the sand and dirt build up from the drain. 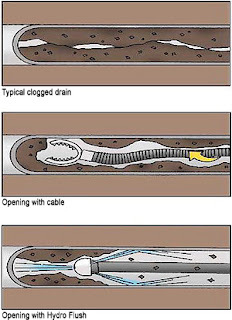 The water jet with rear facing nozzles drag the dirt and sand back and the jet flushes the drain clear. On this occasion we were able to access the discharge point of the stormwater drain. The stormwater outlet was located in a rear alley way. This was convenient as the customer could see the amount of dirt, sand and debris that we were able to flush out of their stormwater drain. The customer was amazed at the amount of sand and dirt that was removed from their drains. Also hard sections of tile grout and cement were also retreived from the drain to help prevent future blockages of leaves. The blocked stormwater drain was under an extensive concreted area that had been paved with quality tiles so you can imagine our customers delight when the area didn’t require concrete cutting and excavation of the stormwater drains! The powerful water jet with its several different water jet nozzles completed the job.